Sony has just announced its new fitness wearable, the SmartBand 2, which comes with a range of sensors that will apparently make it easier for us to keep an eye on our health. An accelerometer and set of heart rate sensors will monitor your pulse, while the wearable will also track your sleep thanks to automatic sleep detection. An alarm clock function will gently wake you up at the best time during your sleep cycle. With a two-day battery life and IP68 waterproof body, the SmartBand 2 has also been designed to be worn wherever you go. All the data is automatically logged in Sony's Lifelog app, which Sony claims is "popular", but we're not totally convinced. If you have a Sony smartphone like the Xperia Z3+, you'll already have it installed, but you can also get it from Google Play. You can also get a host app for Android and iOS, and we've asked Sony to clarify if the SmartBand 2 will work with other fitness apps. The SmartBand 2 won't just keep you updated about your health - it will also vibrate and flash LEDs when you get a call, message, email or tweet. Plus, you can control music playback on your smartphone by tapping on the band. A handy vibration will also alert you when you're near your smartphone or tablet, which will be handy for those of us who are always misplacing our mobile devices. The SmartBand 2 will launch in September for around €119 (about £85, $133, AU182) in 60 countries. 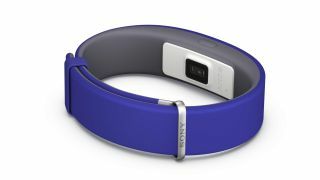 Its simplicity and low price could make it a popular smart sports band, but let's hope it's not too tied in to Sony's ecosystem.